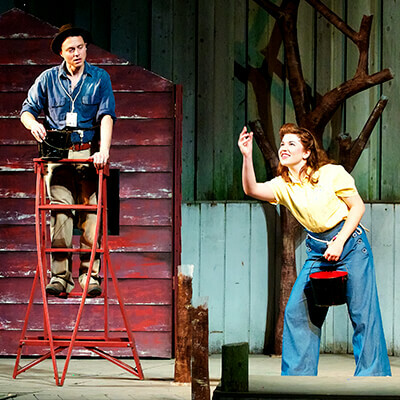 Chad Luberger and Allie Babich in “Victory Farm” at Northern Sky Theater, 2012. Photo by Len Villano. The “Victory Farm” writing team: Emilie Coulson, Katie Dahl, James Valcq. 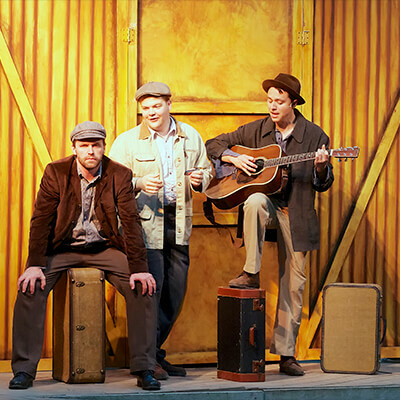 Steve Koehler, Dan Klarer, and Chad Luberger in “Victory Farm” at Northern Sky Theater, 2012. Photo by Len Villano. In addition to being an independent, touring singer-songwriter, Katie Dahl is a playwright whose musical “Victory Farm” (co-written with Emilie Coulson and James Valcq) premiered in 2012 and has since seen two encore productions (in 2017, it made the Milwaukee Journal Sentinel’s “Top 10 Productions of 2017” list). “Victory Farm” is inspired by the true story of German prisoners of war who came to pick cherries in Door County during World War II. 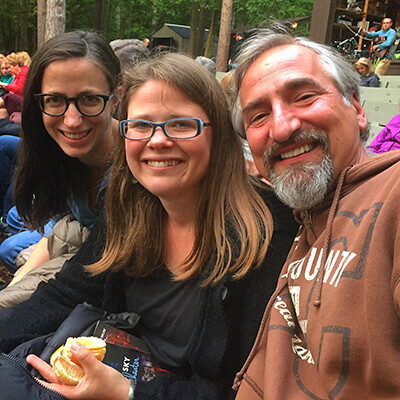 Katie is currently working on another musical, “The Fisherman’s Daughters,” set in 1908 and based on the true story of two sisters who fought the state of Wisconsin’s attempt to take possession of their homestead in order to create a state park.